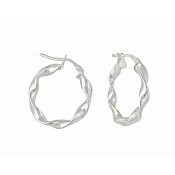 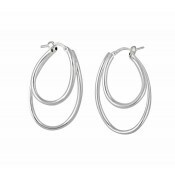 Simple but stylish, these wide band silver hoop earrings are a versatile accessory for any woman. 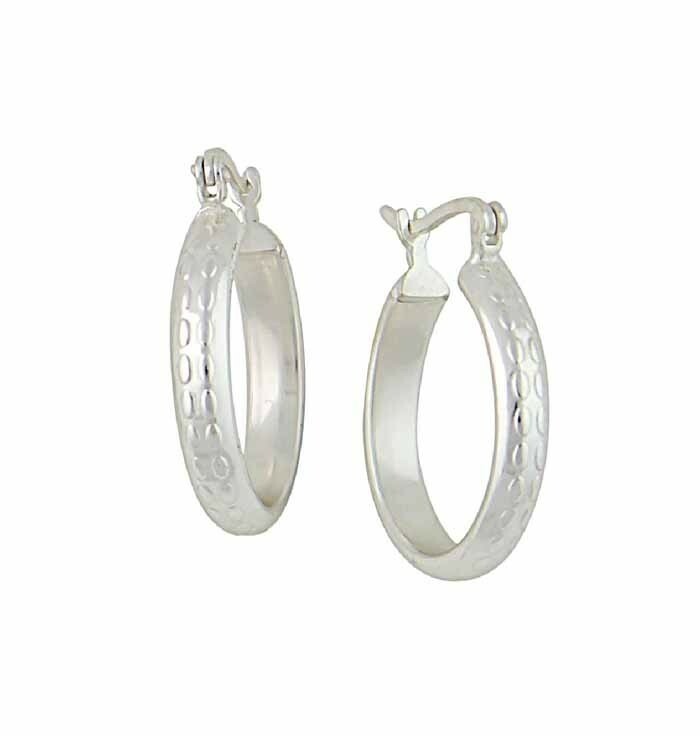 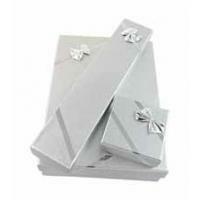 The curved silver band has been textured with a simple dotted pattern that pairs with both formal and casual outfits. 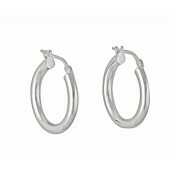 A secure-fitting offers peace of mind during wear while also ensuring they are a comfortable option for all-day wear.